It’s no secret that anime has grown in popularity internationally and as such would attract the interest of international entities and markets. This has already become apparent with what has been happening in the West; in the UK, Australia, France… but most importantly, the US. From major companies buying stakes in the anime business (Sony and Amazon) to Netflix licensing and producing its own series and even Toonami’s recent expansion. But what about other markets? As it turns out, China is also interested in this new opportunity called anime. What has China Been Up to? In 2016, China signed 355 contracts related to anime properties (Which made it the biggest buyer that year). Recently, many Chinese/Japanese co-productions have been made in the likes of Spirit Blade, The Outcast, Silver Guardian… and so on. The trend is not stopping either. China was also a guest at the 2017 Annecy International Animated Film Festival. 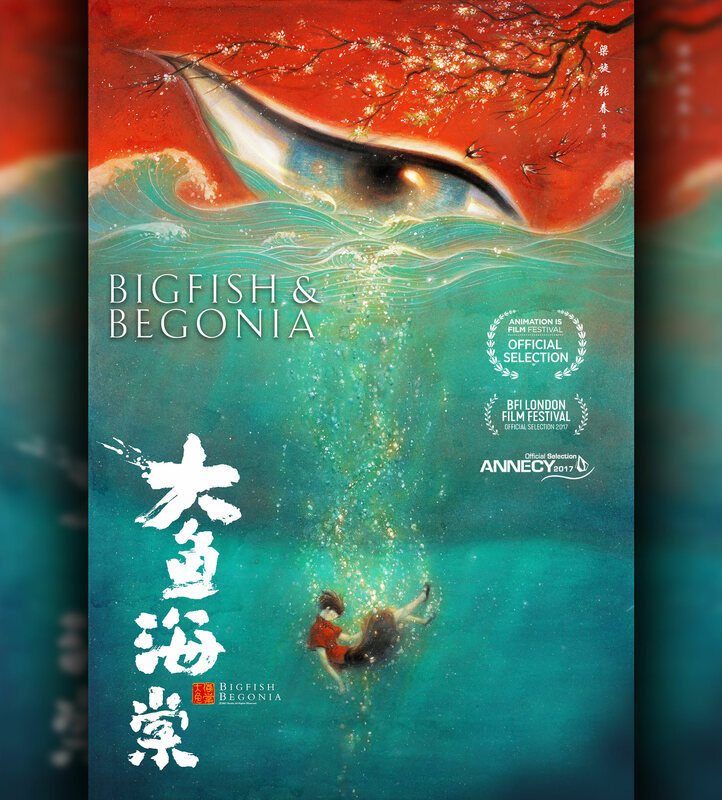 Beijing Enlight Pictures, one of China’s animated power house, also invested in 13 animation studios and is behind the success of Big Fish & Begonia (US$89 million at the Chinese box office). Bilibili bought a minority stake in Fun-Media, a Japanese company that owns several animation studios. That is not to mention that the Chinese government has been encouraging the growth of its animation industry since the mid-2000s. Of course, it isn’t like China doesn’t already produce animation of its own. In 2012, China produced 260 000 minutes of animated content vs. Japan’s 90 000. So why the sudden interest in the Japanese market? International appeal. In spite of its high level of production, how many Chinese animated works have you heard of in the last decade? Basically, China wants to unlock the international market and Japan is the only country who succeeded in achieving this level of international interest while still producing works that are very Japanese; titles that stay true to the unique style and culture of Japan rather than appealing to an international audience, as American cartoons do. Obviously, China is interested. Is that Good for Anime? So with such a wealthy investor, can we expect great things for anime going forward? Yes and no. It is true that “Chinese anime” is now being made and it does introduce more diversity in the style of animation being produced however, the quality varies and the fans have been far from impressed with the output thus far; although, your millage may vary, obviously. Then there’s the fact that China is very influential, and prone to censorship, and them having greater influence over the hobby may carry a fine print most of us just aren’t ready for. And there’s also the fact that China may just be using Japan; once they get the hang of producing internationally well received animation of their own, they may just pick up their toys and leave. So why has “Chinese anime” been so difficult to successfully make or, for that matter, why has anime itself been such a hard sell in China? The answer is China. The government’s tendencies to heavy handed censorship has caused great difficulties in bringing anime to China and the government’s desire to be involved in everything may well be damaging the production of their own series. As long as this hurdle remains, I do not believe China will be a real competitor to America in influencing the anime market. Although, recent efforts has proven they are capable of entering the international market themselves, at least. China is serious about animation but continued state sponsored censorship still gets in the way of their ambitions. Thus far, not much has changed for Japan, but when it does, we do have a lot of red flags to look out for. But if China decides to move beyond its censorship and gets its act together in producing new content, it might lead to some genuinely interesting developments for the market; time will tell. Interesting article. Didn’t China also censor several Japanese anime titles a few year back? I remember lots of outrage over it on the Internet. It’d be interesting to see where things go. Yes. Twice within the last 3 or 4 years. The problem is not just their censorship, so much as how arbitrary it is too.